Social networking sites like facebook makes a real important part on the world of blogging. This social networking sites helps you a lot to get traffic on your blog if you do take some special care to them.This are really a gift of internet for bloggers like us to drive traffic towards our blog.Using facebook comment system on your blog makes our blog more interactive and drives more traffic as commenting on your blog.This also helps your blog reader to share the topic on their facebook wall easily. so,here we're going to share the details tutorial about how to make this possible.This tutorial will completely explains you how to add facebook comment box to your blogspot blog easily. First uou need a Facebook App Id. So for that you have to go there Facebook Developers Page to make one. You'll get a new app id just like the below screenshot, so note down your APP ID and keep it some safe place.You have to need that in next steps. Log onto your Blogger Dashboard >> Templates >> Edit HTML and Expand Widget Templates checkbox. Now add the below code after it. Replace TechTrickHome with your blog name. Replace http://www.facebook.com/techtrickhome with your Facebook page url. You can keep Facebook Comment box and Blogger default comment box both togetherly to make your comment box user friendly but in case if you want to make Facebook comment box your default comment box then you've to remove your blogger default comment box,for that you've to go to Settings > Posts and Comments and set the Show Comments option to Hide and Save the Settings.As per the above screenshot. Don’t hesitate to use the comment box below in case you're facing any difficulties while trying to do this. 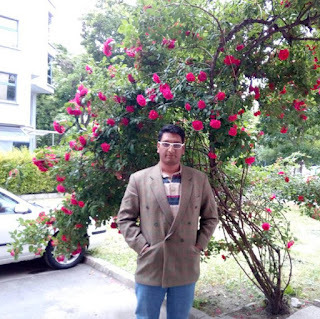 Hey, great post and it really helped me get the facebook comments working on my blog. I wanted to get some SEO out of it but the iframe issues (search engines won't crawl iframes) made this impossible and, of course, the only way I could find to pull the text of the comments was through php scripts (which blogger doesn't support). Soooo, i wrote a php script and threw it on my server and then called it as an object on my blogger template and viola! - it worked. In kind, I thought I'd share it with you and maybe add a little value to your already great post. Just paste this code in your blogger template above or below the commenting code and it should be good to go. If you want to view the results just remove the div tags and give the object some width/height parameters. Hope this helps some of you! If I want to remove the box, do I just do a reverse? I cannot reset the template because I've made other changes I'd like to keep. Thank you for this by the way it really works! Send us your template please. 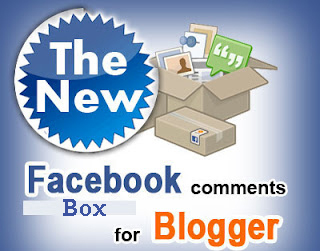 If I hide bloggers box it also disappears facebook comment box. Any help? Haha! It worked! Thank you.